March 29, 2019 - The Bakersfield City School District (BCSD) is proud to announce that Voorhies Elementary School was awarded with a 2019 Seal of Excellence Award by the California Association for Bilingual Education (CABE) for their Dual Language Immersion Program. This award is one of CABE’s highest honors and recognizes schools for their vision of biliteracy, their commitment towards educational excellence for all students, and their focus on providing students with the skills they will need to be successful in the 21st Century. 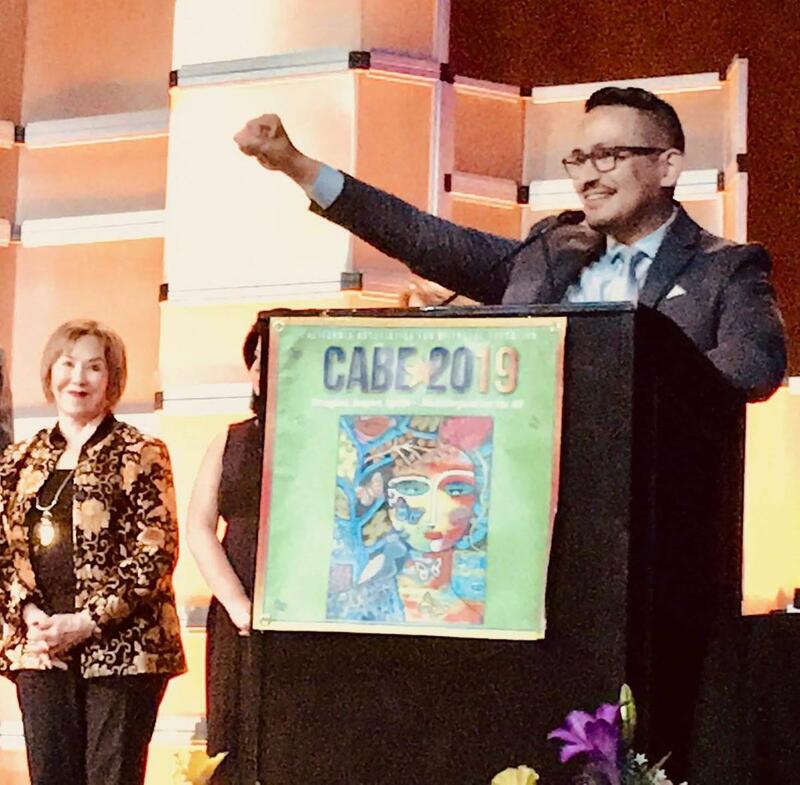 BCSD Board President, Lillian Tafoya, Superintendent, Doc Ervin, BCSD Administrators, Voorhies Principal, Erick Casallas, and Voorhies teachers and parents were recognized and officially accepted the award at CABE’s annual conference held in Long Beach this past Saturday. 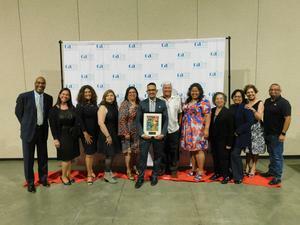 The school’s application for consideration consisted of a video and 15-page narrative which included general school information and performance data for students in the Dual Language Immersion and English Language Learner programs. Representatives from CABE visited Voorhies in January to meet with administrators and teachers, and observe the program in action. BCSD recently expanded the Dual Language Immersion Program to Harris Elementary where classes began during the 2018-2019 school year. 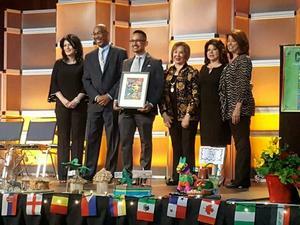 Families interested in participating in the program can contact the English Language Learners Department at (661) 631-3221.